Chapter 143C - State Budget Act. § 143C-1-1. Purpose and definitions. § 143C-1-2. Appropriations: constitutional requirement; reversions. § 143C-1-4. Interest earnings credited to the General Fund; interest earnings on Highway Fund and Highway Trust Fund credited to those funds. § 143C-1-5. Chapter is applicable to The University of North Carolina. Article 2 - Director of the Budget. § 143C-2-1. Governor is Director of the Budget. § 143C-2-2. Collection of State Budget Statistics. § 143C-2-3. Fiscal analysis required for any State agency bill that affects the budget. § 143C-2-4. Director of the Budget may direct State Treasurer to borrow money for certain payments. § 143C-2-5. Grants and contracts database. § 143C-2-6. Contents of database and Web site. Article 3 - Development of the Governor's Recommended Budget. § 143C-3-1. Budget estimate for the legislative branch. § 143C-3-2. Budget estimate for the judicial branch. § 143C-3-3. Budget requests from State agencies in the executive branch. § 143C-3-4. Budget requests from non-State entities. § 143C-3-5. Budget recommendations and budget message. Article 4 - Budget Requirements. § 143C-4-1. Annual balanced budget. § 143C-4-3. (Repealed effective July 1, 2019) Repairs and Renovations Reserve. § 143C-4-3.1. (Effective July 1, 2019) State Capital and Infrastructure Fund. § 143C-4-4. Contingency and Emergency Fund. § 143C-4-5. Non-State match restrictions. § 143C-4-6. General Fund operating budget size limited. § 143C-4-7. Limit on number of permanent positions budgeted. § 143C-4-8. Use of funds appropriated to a reserve. § 143C-4-9. Pay Plan Reserve. § 143C-4-10. Unfunded Liability Solvency Reserve. Article 5 - Enactment of the Budget. § 143C-5-1. Rules for the introduction of the Governor's appropriations bills. § 143C-5-2. Order of appropriations bills. § 143C-5-3. Availability statement required. § 143C-5-4. Enactment deadline; procedures to be followed when the Current Operations Appropriations Act does not become law prior to the end of certain fiscal years. § 143C-5-5. Committee report used to construe intent of budget acts. Article 6 - Administration of the Budget. § 143C-6-1. Budget enacted by the General Assembly; certified budgets of State agencies. § 143C-6-2. Methods to avoid deficit. § 143C-6-4. Budget Adjustments Authorized. § 143C-6-5.  No expenditures for purposes for which the General Assembly has considered but not enacted an appropriation; no fee increases that the General Assembly has rejected. § 143C-6-5.5. Limitation on use of State funds for abortions. § 143C-6-6. Positions included in the State Payroll. § 143C-6-7. Compliance with Chapter and appropriations acts by State agencies. § 143C-6-8. State agencies may incur financial obligations only if authorized by the Director of the Budget and subject to the availability of appropriated funds. § 143C-6-9. Use of lapsed salary savings. § 143C-6-10. Flexible compensation plan. § 143C-6-12. Quarterly report on State agency reorganizations and movements of positions. § 143C-6-13: Reserved for future codification purposes. § 143C-6-14: Reserved for future codification purposes. § 143C-6-15: Reserved for future codification purposes. § 143C-6-16: Reserved for future codification purposes. § 143C-6-17: Reserved for future codification purposes. § 143C-6-18: Reserved for future codification purposes. § 143C-6-19: Reserved for future codification purposes. § 143C-6-20: Reserved for future codification purposes. § 143C-6-21. Payments to nonprofits. § 143C-6-22. Use of State funds by non-State entities. § 143C-6-23. State grant funds: administration; oversight and reporting requirements. Article 7 - Federal and Other Receipts. § 143C-7-1. Funds creating an obligation. § 143C-7-2. Federal Block Grants. Article 8 - Budgeting Capital Improvement Projects. § 143C-8-1. Legislative intent; purpose. § 143C-8-2: Repealed by Session Laws 2016-119, s. 2(b), effective July 28, 2016. § 143C-8-3. Capital improvement needs criteria. § 143C-8-4. Agency capital improvement needs estimates. § 143C-8-5. Six-year capital improvements plan. § 143C-8-6. Recommendations for capital improvements set forth in the Recommended State Budget. § 143C-8-7. When a State agency may begin a capital improvement project. § 143C-8-8. When a State agency may increase the cost of a capital improvement project. § 143C-8-9. When a State agency may change the scope of a capital improvement project. § 143C-8-10. Project Reserve Account. § 143C-8-11. Reversion of appropriation; lapse of project authorization; transfer of funds remaining after project completion. § 143C-8-12. Capital improvement projects from sources other than the General Fund. § 143C-8-13. (Effective July 1, 2019) Repairs and Renovations. Article 9 - Special Funds and Fee Reports. § 143C-9-1. Medicaid Special Fund; transfers to Department of Health and Human Services. § 143C-9-2. Trust Fund for Mental Health, Developmental Disabilities, and Substance Abuse Services and Bridge Funding Needs. § 143C-9-3. Settlement Reserve Fund. § 143C-9-4. Biennial fee report. § 143C-9-5. Assignment to the State of rights to tobacco manufacturer escrow funds. § 143C-9-6: Repealed by Session Laws 2016-94, s. 15.2(e), effective July 1, 2016. § 143C-9-7. Indian Gaming Education Revenue Fund. § 143C-9-8: Repealed by Session Laws 2016-94, s. 15.2(e), effective July 1, 2016. § 143C-10-1. Offenses for violation of Chapter. § 143C-10-2. Civil liability for violation of Chapter. § 143C-10-3. Suspension from office or impeachment for refusal to comply with Chapter.